Bog Trogs are now bigger badder and draggier! Have harpoon – will fight for food! This is a new minion solo the Bog Trog Trawler. He will work for all the Hordes factions minus Pigs. It wasn’t enough to have a bunch of stinky fishmen in your back-line with fishhooks they now have a solo who is gunning for ya. Bog Trogs have no loyalties. Ambush: He can be right next to his fish pals up the flanks turn 2. Amphibious: He can hide in deep water and moves through it like an open field. Camouflage: Being fishy has its bonuses. Hiding in terrain makes him really hard to hit. The Trawler is a medium base so has some beefier stats then a normal bog trog. ARM15 with 8 boxes means he can live through some small arms fire or a low power charge attack He is kind of slow but not as bad as a dwarf and pathfinder helps. Average MAT and low RAT means he needs those ambushing back arcs to really get good attacks off. He has a POW12 melee weapon but unlike his ambusher brothers it does not have reach. The Trawler can trawl. I know shocking! Now hordes has access to a range 8” drag. It can only drag medium or smaller bases but, pyre and slag trolls beware you can be dragged! All joking aside this guy can pull some models out of key positions. The turn this model ambushes he can get a RAT9 shot off if you are too close to the board edges. He will need rear arcs most of the time to get an accurate shot off. 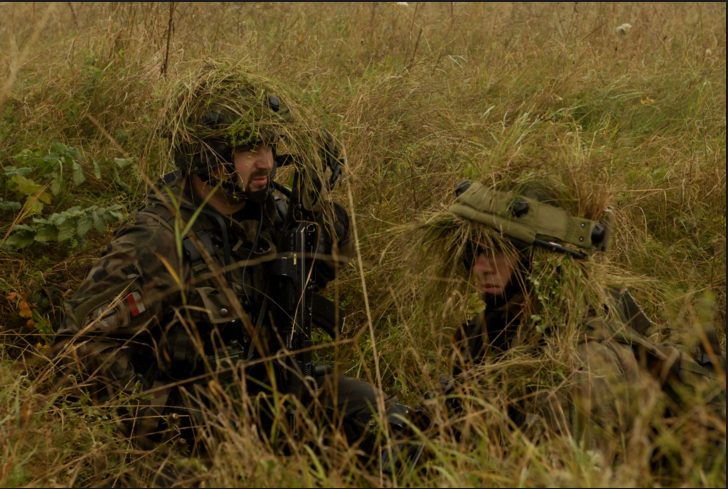 There are not to many ambushing ranged troops that see the field but this guy is high pow enough to be annoying. The Trawler is kind of a niche solo. He will probably see play in Blindwater. Barnabas can get around the low RAT of the Trawler by feating and knocking models down. Then the Trawler can pull in models for a Wrastler to finish them off. Another way to look at the Trawler is use him as a jamming solo. Support models like to stay way back but this means they are usually unprotected. Instead of investing in a whole unit of Bog Trog Ambushers, a 2 point Trawler investment might be more middle class kind of approach. He can kill off a choir member or 2 and then just jam up the lines. 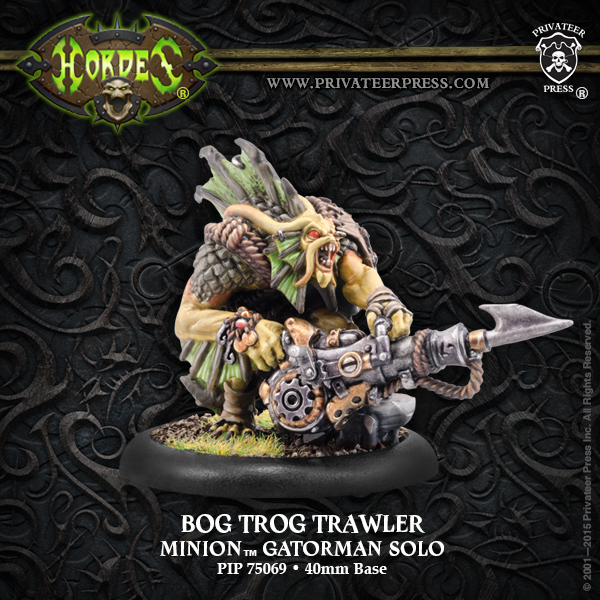 What do you think BoLS of the new Bog Trog Trawler? Will you drag your opponents dreams down with his harpoon gun.